In addition, change management issue is one of the most important aspects of helpdesk service for multi-national companies. The approach which we consider optimal for global companies involves the provision of support services within 3 levels. The lowest level of support means offering support by the key user to the end user. The implementation of Microsoft Dynamics NAV always involves comprehensive trainings for the customer’s key users who hold a significant project roles. The knowledge they gain during project works can be still used to support end users once the implementation works are completed. The main advantage of this approach for global companies is that on Level 1 communication is done in the end user’s native language. If the end user was to solve problems by contacting helpdesk at the headquarters, the technical support department would have to be able to use multiple languages or the end user would be required to speak a specific language, e.g. English. Both options hinder communication and problem resolution. Level 2 involves communication, usually in English, between key users and the headquarters’ helpdesk department. Support on this level is provided whenever the key user is unable to help the end user or to handle the task by himself. Support services provided on Level 2 very often involve the delivery of documentation prepared for the purpose of an ERP global project. Helpdesk services at the headquarters should be provided by a consultant who has sufficient experience in Microsoft Dynamics NAV to support key users in subsidiaries. An increasing number of supported subsidiaries – the most essential issue to manage within SLA. 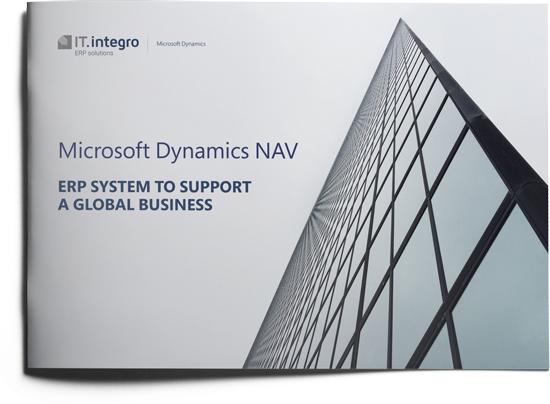 In the case of Microsoft Dynamics NAV worldwide rollout, in the first year of the project, e.g. 2 subsidiaries are supported. In the following years, this number grows very fast. For this reason, the stand-by fee based on a number of countries, number of subsidiaries or scope of modifications, which is calculated per company should grow proportionally with the number of companies in a group which are to use global helpdesk service. Substantial differences between the services delivered within support level 2 and 3. The number of requests and their type on both levels differs substantially, therefore it is very important to discuss and define the level at which services are to be provided. The knowledge of local functionalities. The global helpdesk department which supports customers in various subsidiaries worldwide has to have comprehensive knowledge on local legal requirements. Time zones and global helpdesk availability in one country. Type of global services provided – contrary to helpdesk, provided for customers in one country where services are delivered within level 1 or 2, global helpdesk focuses on level 3 and sometimes level 2. It depends on a structure of the customer’s organization. Polish companies which we support for Microsoft Dynamics NAV are typically companies with countrywide operations and structures not sufficient for maintaining their own helpdesk department. In turn, our international customers with several subsidiaries worldwide have even more complex structure that comprises an internal NAV helpdesk department. That is why they use our services only for complex issues and our helpdesk department provides only advice to key users. In the case of group customers, our services focus on system maintenance and development. The system itself resembles a living organism which adapts to changes, which grow in number within the organization as the company expands its operations. Separating global helpdesk tasks performed by a project team and helpdesk team. The helpdesk department is to ensure system support and maintenance. However, it happens that issues submitted by users to the helpdesk department require more effort and a separate task has to be created to solve them. This means setting up a project which should be managed by a project team not a global helpdesk. For this reason, SLA should provide a mechanism for identifying the two task types, but the differences is difficult to define. The necessity to invoice various companies which submit different numbers of requests to a helpdesk department within the same SLA. Solving the problem of responsibility for modifications entered within in the system by various partners and the customer. In the case of big Microsoft Dynamics NAV installations, multiple stakeholders develop the application, which means that errors are difficult to track back. The completion of Microsoft Dynamics NAV implementation is followed with post go-live support. When the support is ceased, the customer should be able to manage and use the system without any assistance. However, it is a frequent case that despite trainings completed, customers still require some support (which can be delivered within level 2). 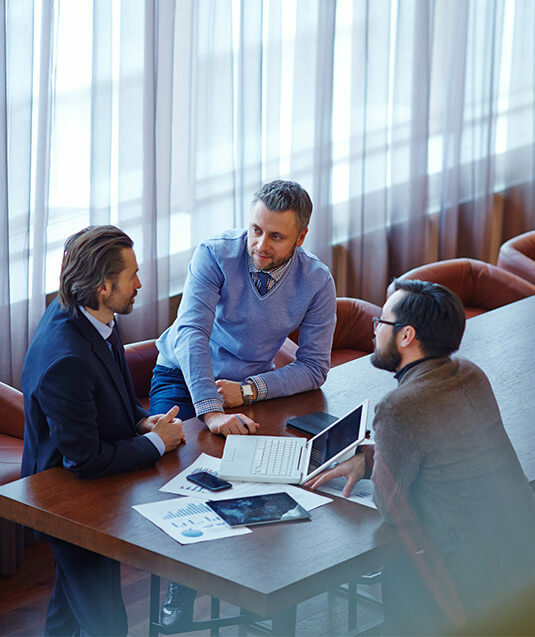 In the case of group projects, which involve managing complex installations, the system is developed even after its roll-out to the last subsidiary in the group. Nevertheless, development tasks should be delivered within a defined response time and solved with no delay. For this reason, in such organizations, helpdesk tasks come down more to development and error resolution than to user support (this is called level 3 support). Between the completion of implementation by the project team and taking the customer over by the helpdesk department, knowledge has to be transferred. Knowledge transfer ensures that the helpdesk department is able to deliver its tasks accurately and efficiently. We use the two knowledge transfer models presented below. In Model 1, a member of the global helpdesk team takes part in the project, which is soon to be passed to the global helpdesk department. While delivering project tasks. he/she gains insight into the solution implemented and customer’s organization. In Model 2, after the implementation is competed, a project team member joins a global helpdesk team to provide support to the customer as long as other helpdesk team members acquire competences sufficient to take over support tasks. In IT.integro, both the international implementation project team and global helpdesk team operate in the headquarters in Poznań, therefore delegating consultants between the teams does not involve any problems I a physical sense. Obviously, the preference is model 1, but it requires customer’s early decision on using helpdesk after the implementation is completed. If such a decision is not made early enough or it is impossible to delegate a helpdesk consultant during the project, only model 2 can be applied. The end user reports an issue by registering it on a specific portal or by sending an e-mail to a defined address (then the request is created automatically). Notifications that are submitted to the helpdesk department are divided into various types of issues (network, hardware and obviously NAV). Microsoft Dynamics NAV partner has access only to NAV service requests. statuses – new, in progress, waiting user, waiting external, closed – for incident. For RFC – new, waiting approval (concept sent), approved (concept approved), in development, waiting user test, ready to release, closed. Our experience in global projects started with helpdesk services. In 2006, we started providing support to a company with 15 subsidiaries in Europe and Middle East. Even though considerable system modifications were implemented, little time was needed to familiarize the users with the updated system and to provide efficient support. Our customer hired two NAV consultants supporting the company internally. They requested our assistance only when dealing with more complex and demanding problems. The company was so content with the high level of services that over time they entrusted us with NAV upgrade and harmonization in the whole EMEA region. The final step in developing our concept for helpdesk services for global NAV installations NAV was to delegate a dedicated team, which consists of consultants and developers with rich experience in international projects. At this level, we cease to apply the procedures described above and we provide support using incident management system. Helpdesk services for our second global client were rendered as part of Microsoft Dynamics NAV global rollout . Our support encompasses more and more subsidiaries as we extend the implementation of a standardized global solution. During the first month after the system go-live which is the time when users have numerous questions regarding system usage and system modifications, helpdesk services are delivered within the budget allocated for roll-out. After this period, support services are rendered within the so called “iHelp” system. All problem notifications are handed over to a competent person in the company headquarters. Easier issues are solved internally, whereas more complex ones are forwarded to us. The whole process is highly systematized and structured. The helpdesk department registers all service requests that are reported after system go-live. The customer has usually 2-4 weeks to report a problem to ensure it is solved “within the project scope”. During this time, it is important to determine e.g. whether all requirements have been met, confirm data import etc. ERP system acceptance is completed and from this moment onwards, helpdesk services are provided to the entire global group.